Is there a better alternative to PDF Signature? Is PDF Signature really the best app in Word Processing category? Will PDF Signature work good on macOS 10.13.4? PDF Signature allows you to easily sign PDF documents, and makes electronic document signing painless. PDF Signature needs a review. Be the first to review this app and get the discussion started! PDF Signature needs a rating. Be the first to rate this app and get the discussion started! Typing text content, you can customize the font style, color etc. Drawing using trackpad or mouse, and insert the signature with transparent background into PDF easily. Insert any existed digital signature image from your local disk. 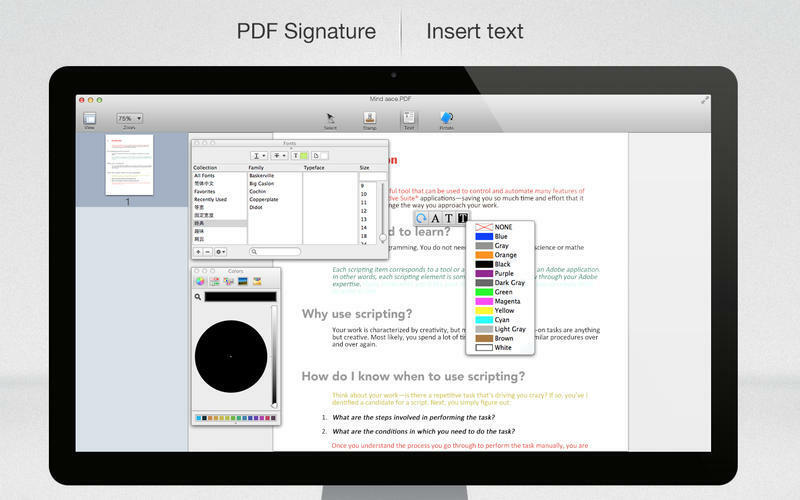 PDFSigner lets you insert your signature or image files to anywhere within the PDF.